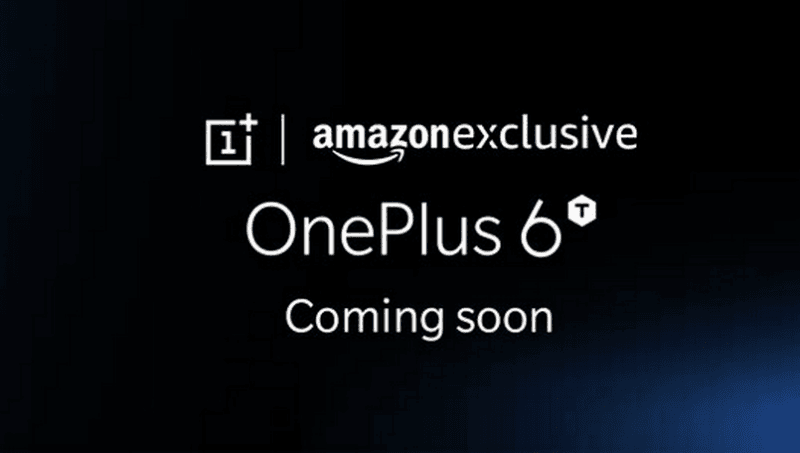 The launch of OnePlus 6T is nearing and we already know that the phone will be exclusive to Amazon India in the sub-continent. Ahead of the much-awaited launch, Amazon has created a webpage which reveals the pre-order offers on the OnePlus 6T. First of all, the pre-ordering on Amazon is not yet live because the webpage redirects you to the gift card purchase screen, so this must be an accidental reveal by Amazon India. The OnePlus 6T pre-booking will continue until October 30, which means that the phone is not coming on October 17. All the pre-booking users will get free OnePlus Type-C Bullets earphones along with Rs 500 Amazon Pay balance. 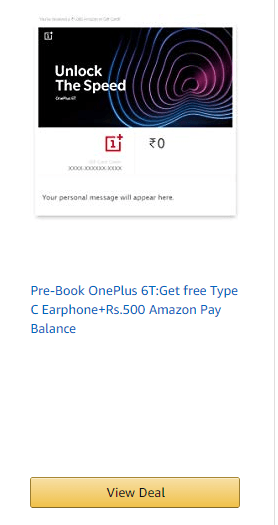 As mentioned above, the pre-booking for OnePlus 6T is not yet official in India as the Amazon webpage reveals to the gift card purchase screen and not the pre-booking screen. However, URL of the page says OnePlus 6T Email Gift Card, but that’s not the case as it’s clearly the Amazon Gift Card purchase page. But as you can see from the below image, the OnePlus 6T pre-booking will continue until October 30, and all the users will get free OnePlus Type-C Bullets earphones along with free Rs 500 Amazon Pay balance, which will be added to the customer’s account. At the moment, it’s unknown when Amazon will open the pre-booking for OnePlus 6T. In other news, OnePlus is teasing a major reveal about the OnePlus 6T for today, which could possibly be the pre-booking details. The OnePlus 6T will be a major upgrade compared to the OnePlus 6, and there are two confirmed big changes. OnePlus is finally ditching the 3.5mm headphone jack, which didn’t go well with the fans, but we have to accept it now. The second one is the in-display fingerprint scanner. OnePlus is promising the 6T will have the fastest ever in-display fingerprint scanner, which of course, only time will tell. To reduce the flak it’s expected to face after the announcement of the removal of 3.5mm headphone jack, OnePlus introduced the Type-C Bullets earphones, which will be launched alongside the 6T at a price of Rs 1,490. Both the OnePlus 6T and Type-C Bullets earphones will be exclusive to Amazon India. First of all, the OnePlus 6T will have a waterdrop style notch on the front, which will be a major departure compared to the notch we saw on the OnePlus 6. The screen is expected to remain the same at 6.2-inches. Hardware wise, the phone will ship with the same Qualcomm Snapdragon 845 chipset, coupled with up to 8GB of RAM and 256GB of internal storage. Like the OnePlus 6, the 6T is also expected to ship in various colour options. Various rumours on the web hint the 6T will have triple cameras on the rear side, but some renders of the phone recently confirmed the phone would have dual rear cameras itself on the back. 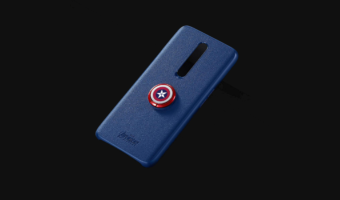 The device is expected to ship with Android 9 Pie out of the box and it could have a larger 3700mAh battery underneath.